“Children, after all, are not just adults-in-the-making. 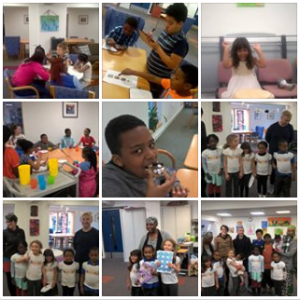 Ebony and Ivory Community Organisation are a stockport based organisation supporting and advocating on behalf of young people 5-18 years old, especially those from African and Caribbean descent and their family. Our principle aim is to encourage and enable cross-cultural integration amongst young people and develop ‘real’ friendships. We use creative and innovative ways to work with young people, to engage and empower them with various activities, such as drama, singing, music, dance, discussion workshops and career pathways. All our activities are conducted in a disciplined and safe environment; and are carefully planned to engage and challenge young people to aspire to take on leadership roles to support their peers. Ebony and Ivory Community Organisation want to encourage families to learn and share together there are opportunities and activities open to all family members including, Family Sessions, Mixed Heritage Forum, Volunteer Opportunities, Women’s Forum, Cultural Workshops and Careers Advice. Gives young people the opportunity to get involved in activities based around African, Caribbean and British culture. Our Activities include Drama, Singing, Bespoke Workshops, Cultural Workshops, Individual Support. If you are interested in any of these opportunities please use our “Contact Us” page and we will be happy to discuss how we can help you and your family. © 2019 Ebony & Ivory Community Organisation. All Rights Reserved.